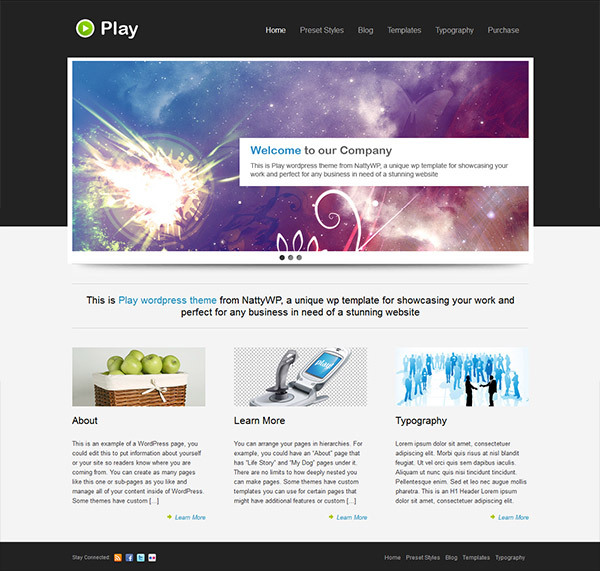 The premium WordPress theme Play is a modern multimedia template with a lot of features. It’s packed with 6 additional color schemes and lots of custom widges, like Flickr, Twitter, banner widget etc. 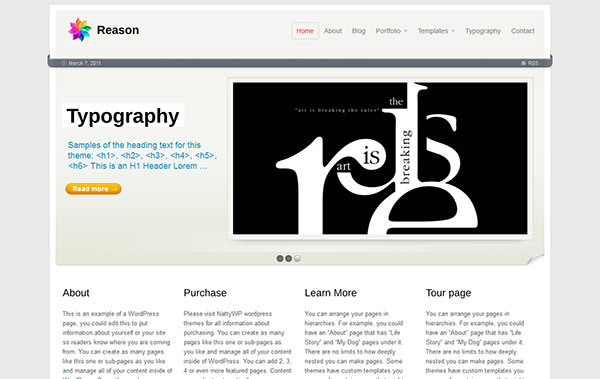 The Play WP theme includes jQuery features, which is especially present in the homepage slider. Impress visitors of your site now with a great looking and stylish minimalistic design that focuses on the services or products you are offering through it. 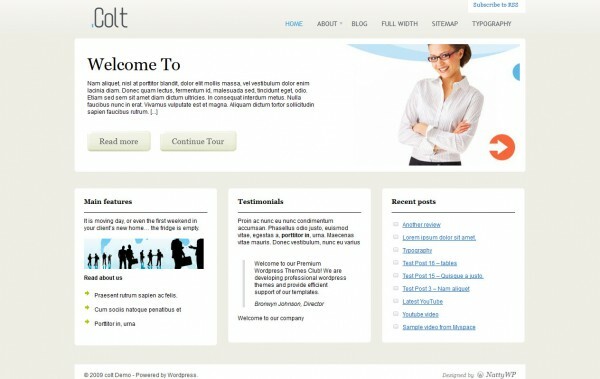 This theme is idea for a business or a company website, but you can use it for presenting just a specific service you offer. It leaves a great impression of professionalism and the visitors will be more likely to be easily convinced just by the look of your website.